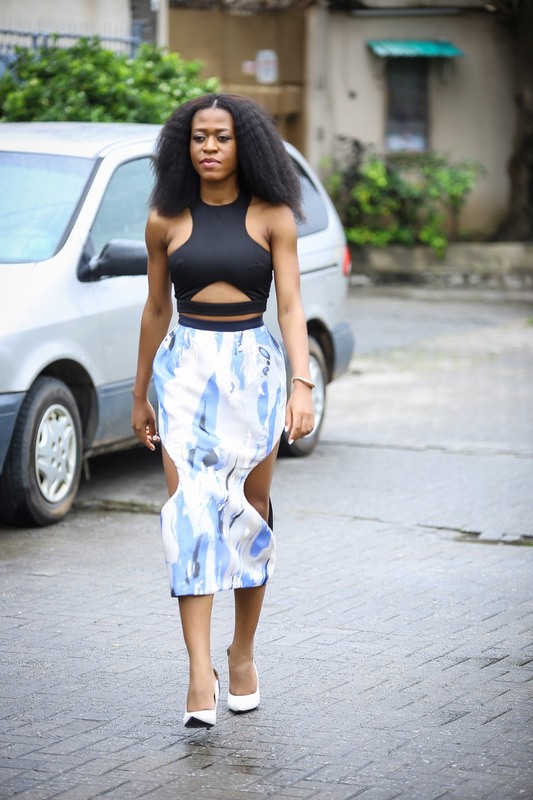 I am actually quite obsessed with this skirt by Nigerian based designer Bridget Awosika.. It is from her AW12 collection called “Passage of Nirvana“.. 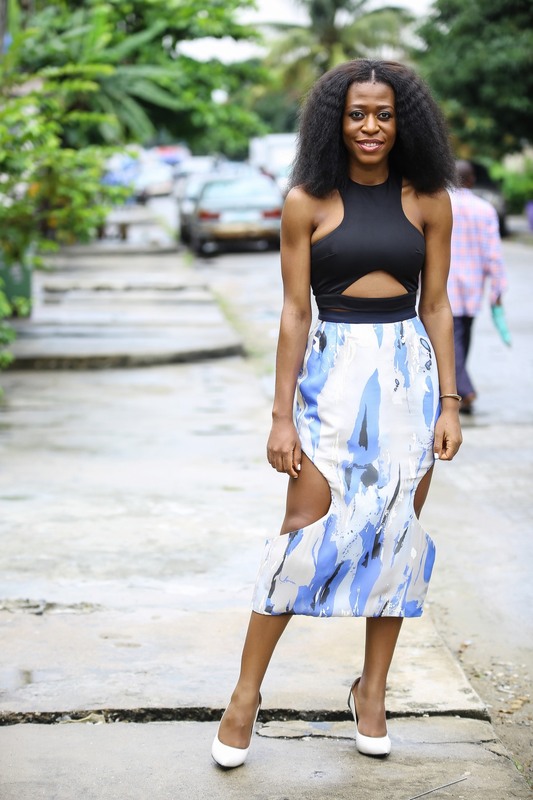 It was love at first sight for me, right from the Arise runway..Bridget’s trailblazing play with cutouts and structure went on to become a big trend.. It is such an amazing fit and can be styled in different ways. This time around, I went with a Black top from Aqua by Aqua. I love the daring extravagant silhouette it cuts. I feel like I would still wear this skirt right up to my nifty fifties.. Perhaps with a black shirt then?? A bit of an ambitious plan I would say.. Here’s hoping it would still fit..
Have an awesome day all..
I’m loving this, love the way you paired it with the crop open top, and the colour block shoes as well. Thumbs up. Oh! This combo is giving me life!! Glad you approve! Thanks for stopping by!! You make Dolphin look really good. I wonder I’ve never spotted you taking blog pictures on my way to Okoli.